The skating season is upon us already! Time for predictions! This season is definitely going to be a huge surprise as a bunch of veterans have left and the newbies have come to play in hopes of being the next big thing in figure skating. Establishing a role as the new figure skating world leaders seems to be the theme at this year’s Skate America and the predictions for the bottom of the podium will definitely be difficult. With that, let’s begin! Tatsuki Machida and Dennis Ten look to be the stronger competitors at this competition so far. Machida has shown himself in the past season to be a serious contender for the top 5 in men’s skating and his consistency is helping him in that goal. Since last season, Machida has skated with a fire that allowed him to place 5th at the Olympics (and he was a serious contender for bronze) and 2nd at Worlds. If he skates well, he can take away the gold here. Ten, on the other hand has been known to be inconsistent, especially at the beginning of the season. Home ice advantage goes to Jason Brown after a strong debut in the senior ranks with a LP that went viral last season. I am of the unpopular camp who didn’t find anything particularly remarkable about the Riverdance LP but he’s poised to be America’s next male skating sweetheart and we all know how popularity affects one’s skating career around here. 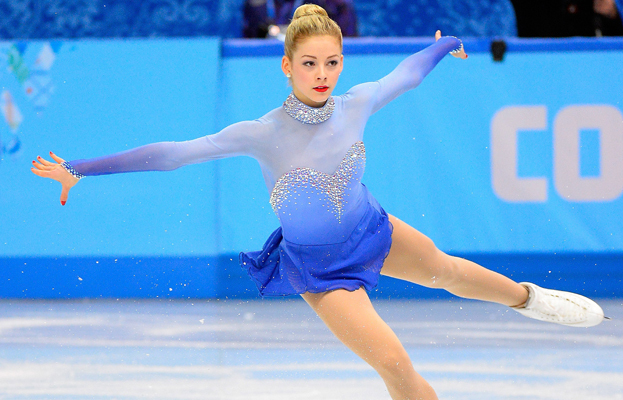 Gold is the name of the game here and with a perfect last name, media darling status and with a nation that is obsessed with finding America’s Next Top Ice Princess, Gracie Gold should be looking to secure herself as the top American lady. With home ice advantage and a relatively weak competition, she should be able to take gold, if maybe purely by PCS. One lady who could knock her off the top spot is Elena Radionova, a talented young Russian lady with star quality and acting ability like no other. Elena’s jumps looked a little shaky and low in the Russian test skates and I seriously hope that puberty has not affected her skating ability. As for the bronze medal, I would keep my eye out for the two other American ladies, Samantha Cesario and Mirai Nagasu. I’ve never found anything remarkable about Cesario, though other bloggers would beg to differ, but she has produced some pretty decent mid-rank results in past GP events. With a weak field, she could boost her rankings up a few places. Nagasu, on the other hand, has worked pretty hard in the past few years to stubbornly show that she is not irrelevant and there have been times where she has proven us just that. The pick for bronze will be a tough one and I may result to either just pure gut feelings or a coin toss. The pairs competition will be a battle between a relatively new couple and an old one. Veterans Yuko Kavaguti & Alexander Smirnov who had faded into the background in pairs skating in general will likely have a showdown with Cheng Peng & Hao Zhang for the gold. The latter team have been together for only two seasons but in those 2 short years, they went from barely being able to touch each other to one of the most dazzling pairs teams on ice. If a year can allow them to improve leaps and bounds, I wonder what another year will do for this new team. As for the bronze, Haven Denney & Brandon Frazier and Alexa Scimeca & Chris Knierim are teams I haven’t really heard of but their results in international competitions look rather similar. I might just leave the bronze prediction up to a coin toss here. Any thoughts to sway me towards one of two teams or another team altogether? Madison Chock & Evan Bates will be looking to fill the void left by Davis & White as the top American ice dance team. The Shibutanis haven’t quite gotten the support from Marina Zueva since their debut in the senior ranks and I would not be surprised if this continued. Still, the Shib sibs should be good enough to get the silver while the bronze is again, a mystery to me. I believe Alexandra Stepanova & Ivan Bukin were Junior GPF champions so I’ll put them in for bronze though honestly, it could go any way at the moment. Well, I have no clue if any of these predictions are going to be any good. What are your thoughts and predictions? Let me know in the comments!